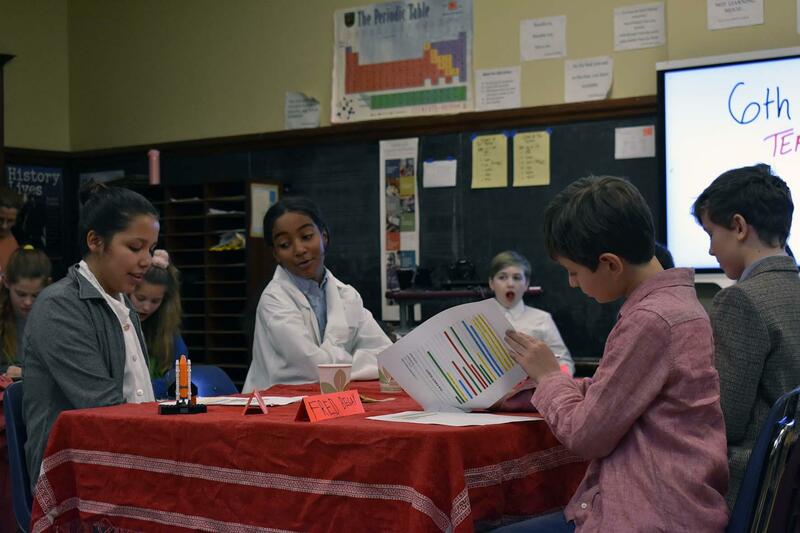 Every Northwest School 6th grader adopted the life of a scientist, mathematician, or inventor, and conversed about their lives over tea or cider during the annual Tea Parties Project on January 31. The interdisciplinary project engaged students in science, Humanities, and library research. It also heightened students’ awareness about gender disparities in science professions. Students chose from a list of scientists, mathematicians, and inventors, which did not include any white males, and read a biography and other online resources about their individual. Students then wrote an outline that detailed the person’s history, achievements, and lasting impacts in their field, working with library faculty to cite each source correctly. 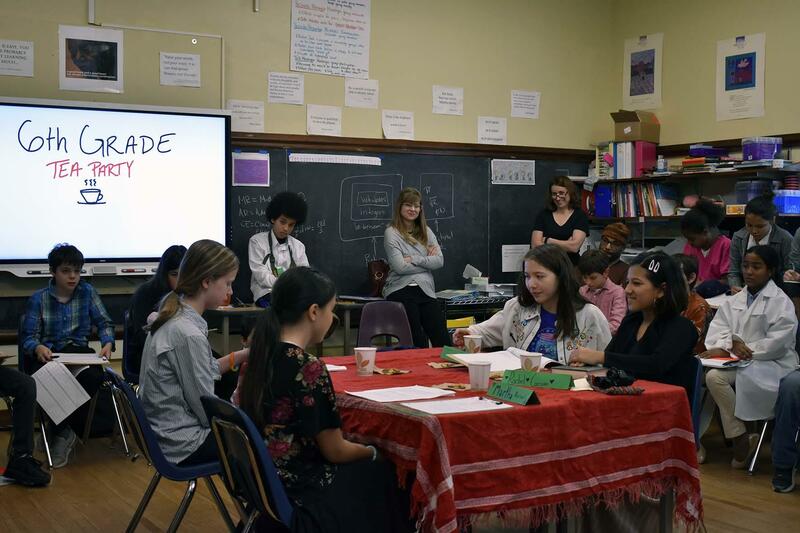 After the outline was completed, the students worked in groups of four to write an original script for the tea party scene, which they presented to the entire class. 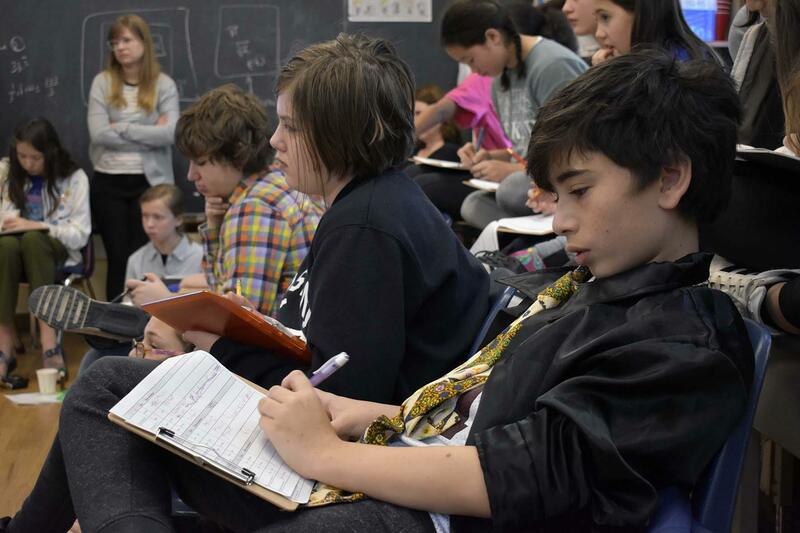 Students in the audience took notes on the scientists’ achievements during their classmates’ presentation. The project developed researching and writing skills while also shattering the pre-conceived notions of what it means to be a scientist or engineer. To introduce the project, 6th grade science teacher Erica Bergamini asked the students to quickly sketch a scientist, and many students drew a man in a white lab coat.